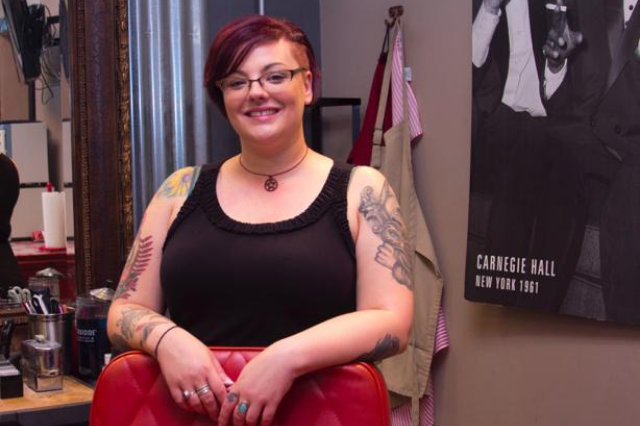 Nichole Missino (D’Annunzio) has been doing hair since the age of 17. She started off as a licensed cosmetologist and did women’s hair for 10 years. While working full time she managed to acquire her BA in business administration from Devry University graduating in 2012. 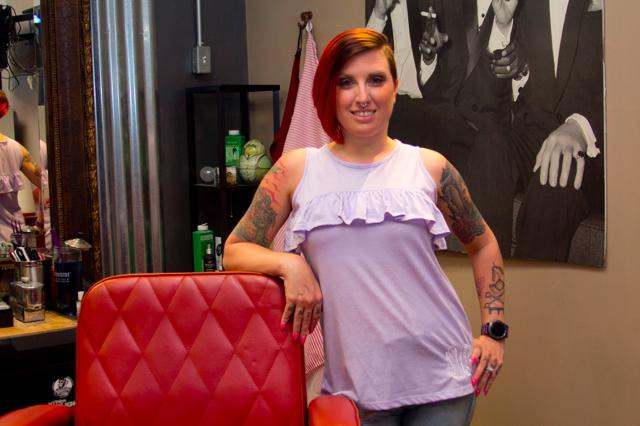 After having her first child she decided to pursue another avenue of her skills and went and worked at a high end barber shop where she was trained by amazing barbers on how to straight razor shave. While working at this shop she was able to obtain her barbers license by apprenticeship. She then moved on to work as a master barber at The Art of Shaving where she mastered her craft at shaving. Today she still holds her cosmetology license, barber license and barber managers license. Chris is the manager here at Giovanni’s. 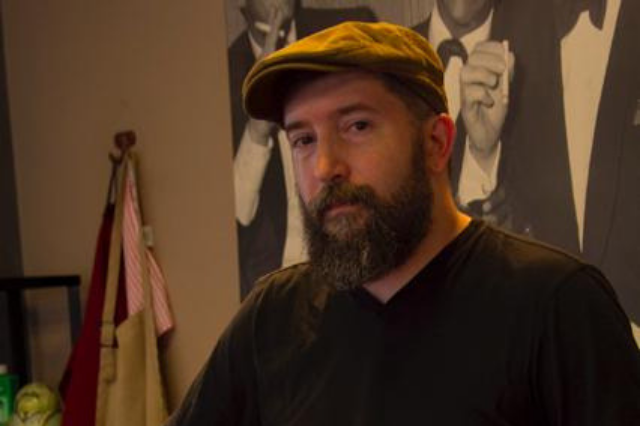 He started as an apprentice under the previous owner and his way to becoming a master barber. He takes pride in his craft and his relationships he’s built with his clients. He does everything for his wife (Carrie) and his two kids (Xander and Luca). He’s easy to spot in the shop. as he is only male barber at Giovanni’s. If you ever have any questions or concerns, talk to him he will help you out. Ifs you ever need someone to officiate your wedding, he is also your guy, he is an ordained dudeist priest. Natalia is our youngest barber at Giovanni’s. 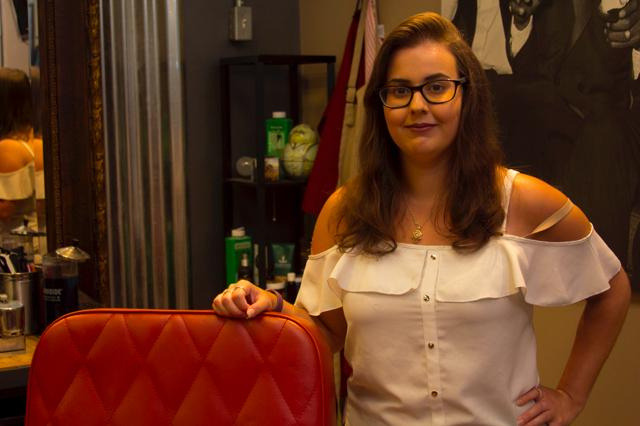 Her passion for barbering started her senior year of high school, she did vo-tech for cosmetology for 2 and half years but something about women hair didn’t suit her. She then took a barber apprenticeship under Nichole in October 2016. 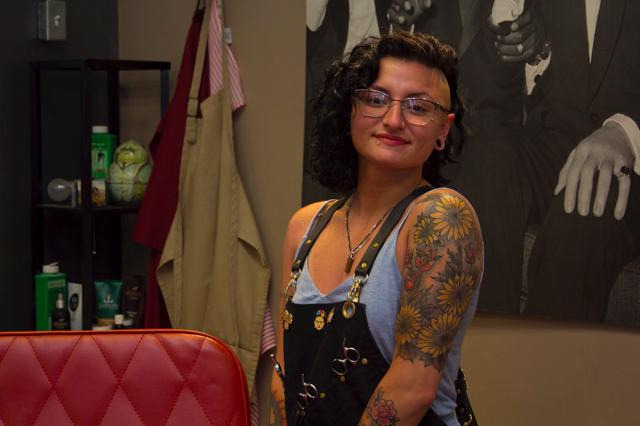 Natalia is now a full service licensed barber and is living her passion. She couldn’t imagine doing anything else and strives to eventually travel the world and teach beautiful lost art of barbering. She also loves tigers! Giovanni’s team. The shop wouldn’t be the same with out her.